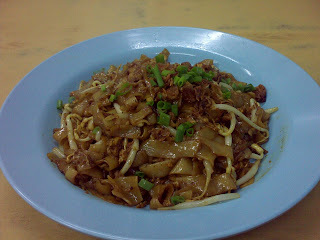 TIGERLIM.COM: Kampong Kilanas's Fried Kuah Tiao!!! 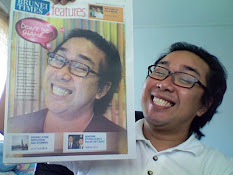 Once again today I'm gonna introduce where to find the Yummy Fried Kuah Tiao!!! 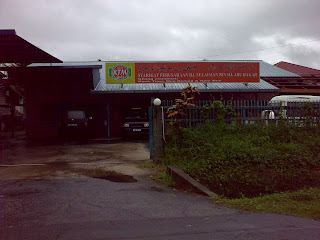 I going to show you this place is located at the Kampong Kilana which just next to the factory where they make noddles. 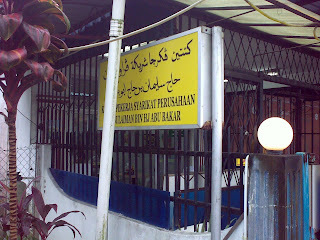 Is not very hard to find they are just next to the road side! Everytime I come here to eat the mee sure I will buy they noddles from the factory and bring back for my mom.Of cause is cheaper then the supermarket lah! One big bag only cost few dollars! Ok...this is the restaurant that just next to the restaurant. I'm not so sure who own this restaurant, maybe is the same boss the factory lah! 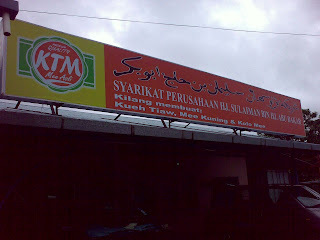 Anyway....most of the people come here are eat their Kolo Mee but I found that their kolo mee are too oily. They also have serve Curry Rice, Yong Zap and Daoki too!!! Don't know what is Yong Zap and Daoki? Never mind just order and try.Not bad it taste good also! 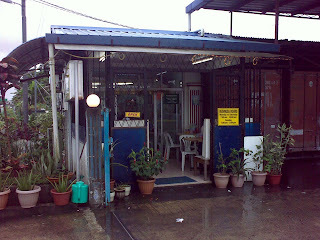 This the the restaurant inside look like! 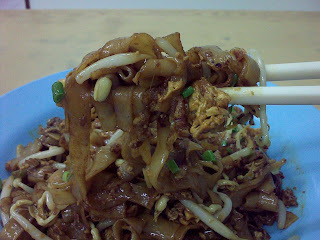 So this the fried kuah tiao I want to show you guys! I give this 3 stars~!